Arkansas is a growing solar state, with more than 21 solar companies. 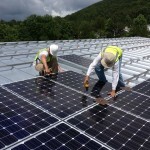 Many positions are available in several areas, from solar system installation to solar panel manufacturing. For additional and in-depth information about solar in Arkansas, visit www.seia.org/state-solar-policy.